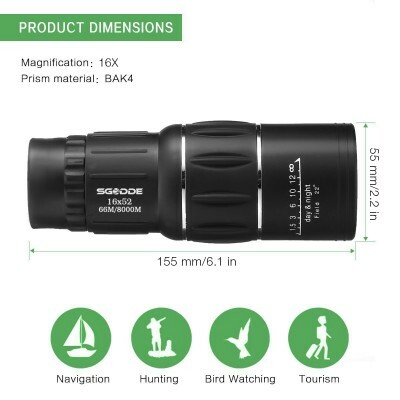 10-25 X 42 High Definition Waterproof Monocular Telescope Outdoor Portable - Compact Monocular Scope 20" Close Focus. 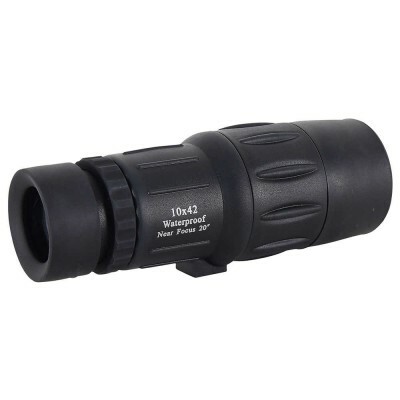 - Product Description : This compact monocular features a variable zoom from 10x to 25x power, which makes it easy to zoom on your target. 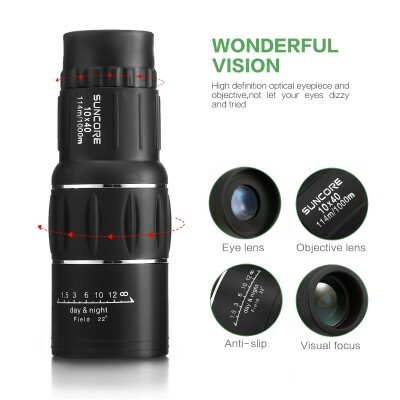 Its close focus distance in 20 inches, let you see items clearly very near. 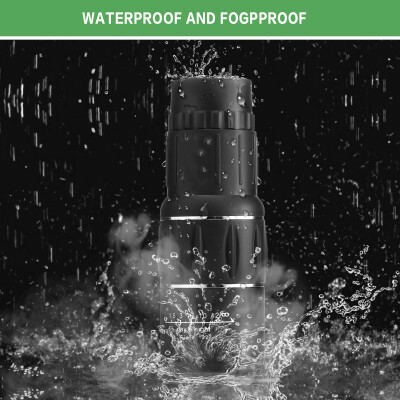 The nonslip rubber armor absorbs shock while providing a firm grip. 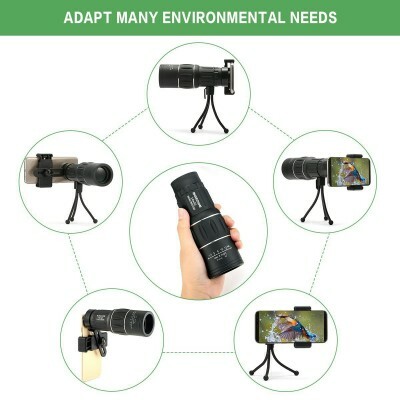 This monocular is lightweight and convenient to carry, great for outdoor camping, hiking, sightseeing, birdwatching, traveling, concerts, and more. 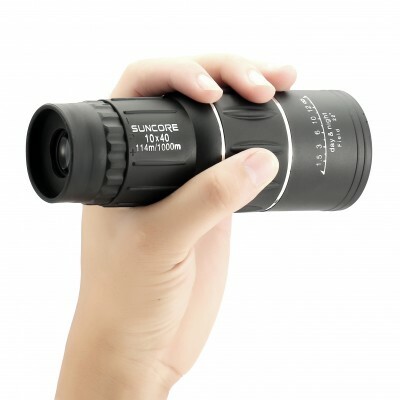 - Product Features : Waterproof zoom monocular with a magnification range of 10x to 25x power. 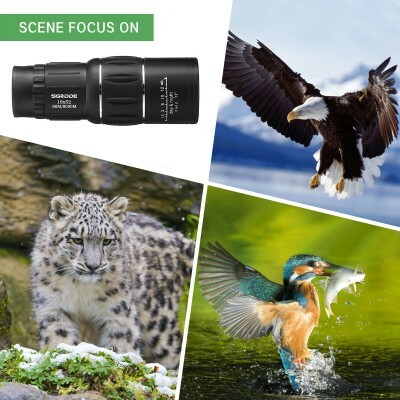 42mm multi-coated objective lens provides clear and bright images. 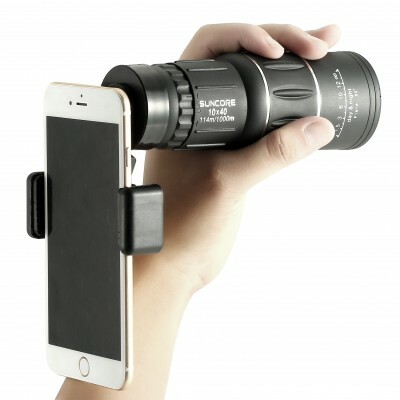 Near focus distance in just 20 inches - just like holding a microscope in your hand. Compact at less than 7 inches long and lightweight at just 11 ounces. Nonslip, shock absorbing rubber armor for added protection. Tripod adaptable, with built in tripod mount-(Tripod is not included). Includes a soft carrying case, lens cloth, hand strap and user manual. 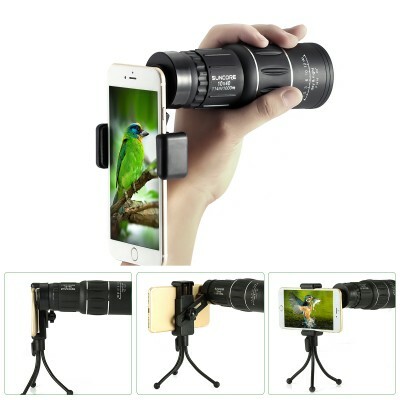 - Product Specifications : Magnification : 10x - 25x. Prism : BK7 roof prism. Field of View : 170 - 128ft / 1000yds. 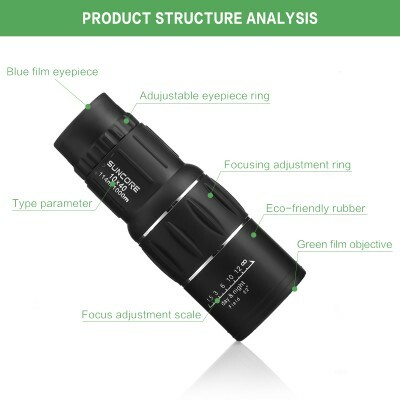 Exit Pupil : 2.75 - 1.39mm. 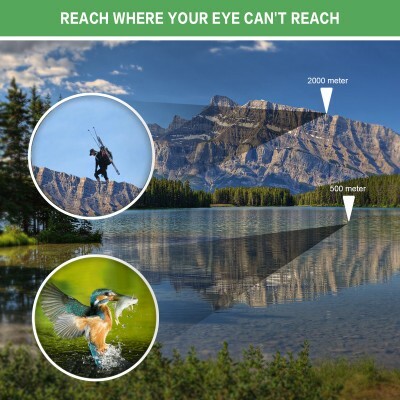 Eye Relief : 14.0 - 9.5mm. 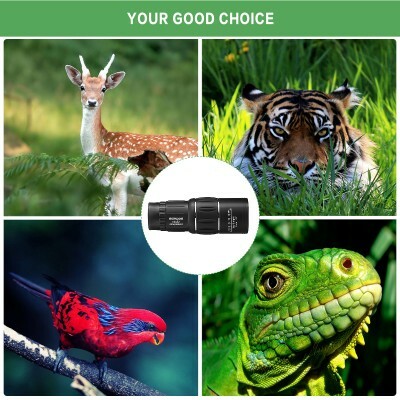 Lens : Fully multi - coated. Focus System : Objective focus. Close Focus : 50cm / 20in. Size : 17.5 - 5cm / 7 - 2in. Weight : 305g / 11oz. Package Size : 20.5 - 8 - 7.5cm / 8.1 - 3.1 - 3in. Package Weight : 550g / 1.2lb. 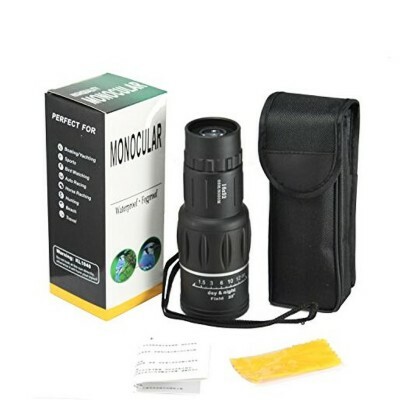 - Package List : 01 - Monocular. 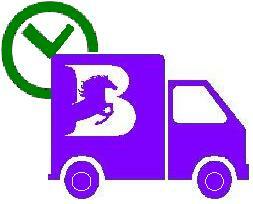 - Note : 100% Genuine & High Quality Product.